I've spoken before on this blog about my love for Diptyque Candles. But as well as the gorgeous, long-lasting fragrance, what really floats my boat is the packaging. 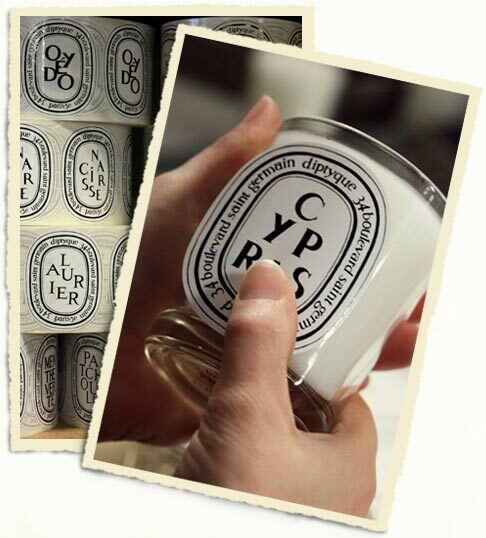 Simple and elegant, Diptyque get it right every time. It's sometimes very hard for me to throw even the box away. Especially when I've spent so much flipping money on it. So, imagine my dismay when the candle burns down to the end of its wick. No more beautifully smelling, gently flickering flame to brighten up the dark winter nights. But hang about, all is not lost - the glass votive cleans up a treat, once you scrape out the wax and put it in the dishwasher. You can even sometimes still smell the candle that was in it. And then there's no end of uses for it: a toothbrush mug, a pot for your cotton wool balls or make-up brushes, or even a bud vase. I've also used them as plant pots - put a little gravel in the bottom of the jar first for drainage, and away you go. A basil plant or succulent would work well. It's a good look. On a trip to Paris a couple of years ago with my friend Liz, we tracked down the shop, on Boulevard St Germain, and whiled away a hour or two, until we were all sniffed out. I love the story behind the company and how they set it up. I was told it a few years ago now, and found it fascinating - I'll try and remember it for you here. The shop's called Diptyque because of the two large windows which flank the central doorway of the boutique. It was set up in 1961 by three friends, Yves Coueslant, Christiane Gautrot and Englishman Desmond Knox-Leet, who met at Ecole des Beaux Arts. Yves, a theatre set designer, Christiane, an interiors designer, and Demond, a painter (who also did a stint in the RAF during the war), brought together their experience gathered through extensive travel, and previously designing fabrics and wallpaper for Liberty and Sanderson, and used it to set up Diptyque at 34 Boulevard St Germain. The shop started by selling fabrics they had designed themselves, collectables and objects they bought on their world travels. They had developed one of the original "concept" stores. 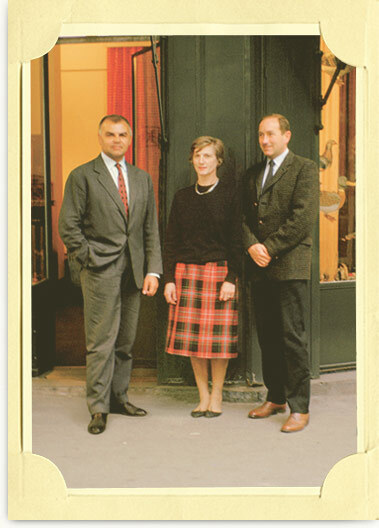 It was the introduction of candles that saw the popularity of the shop rise, and the shop became something of a destination itself, despite being a the "wrong" end of Boulevard St Germain. After the candles came home fragrances, and customers were using these on themselves, begging the trio to produce a range of perfumes. In 1968, L'eau Diptyque, their first perfume was launched, using the same iconically designed labels, created by Desmond Knox-Leet. The fragrances were be inspired by the experiences and extensive travels of the three friends - A childhood growing up in Vietnam. A garden estate in Normandy. A summer spent in Greece. The company has gone from strength to strength, expanding its range of fragrances and opening stores internationally. They're not quite the hidden secret they used to be when I first stumbled across them, but then success stories like this are hard to keep quiet.